My sister was in Paris two weeks ago and bought it for me. I love it too! 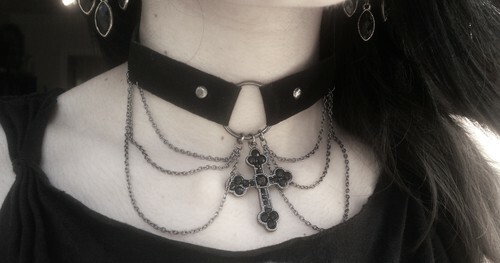 Omg, this is the *perfect* choker: black, with chains and a cross. You have a really nice sister with very good taste :D! Svar: Indeed :D she always knows exactly what i like!